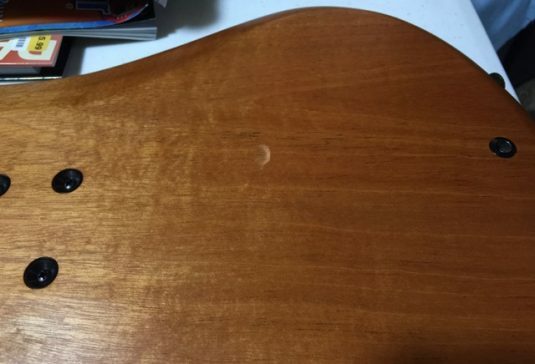 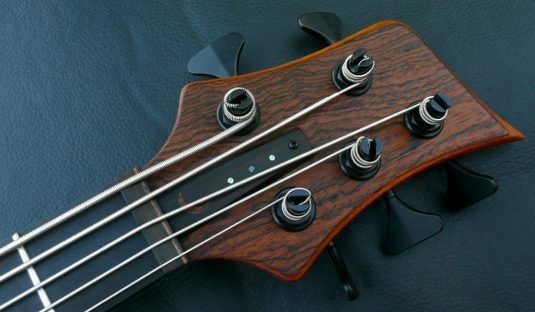 This bass originally came here with a low B tuning, and it worked well for less aggressive players. Heavy slapping and popping not advised. 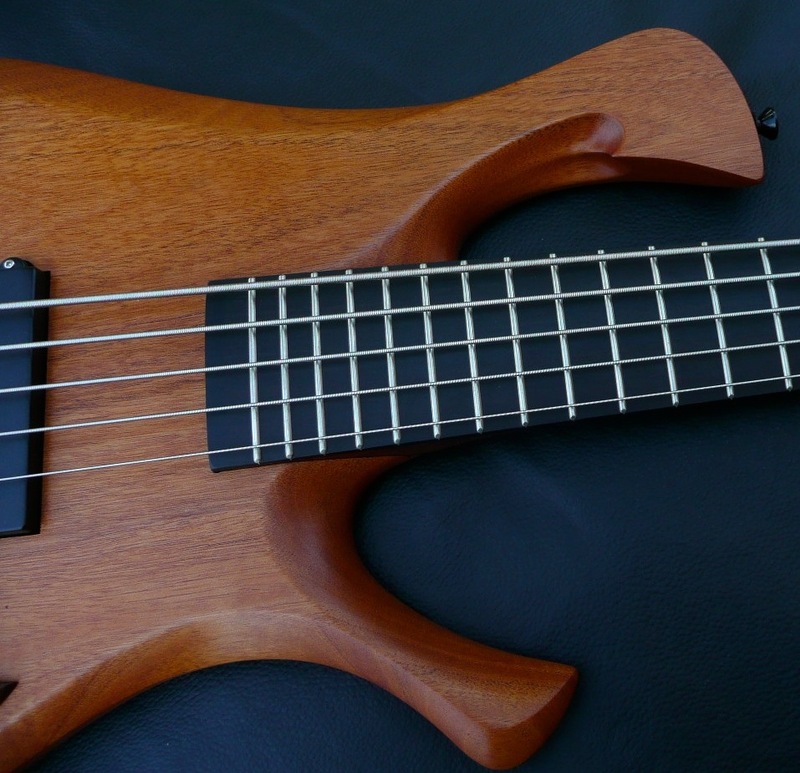 I put some TI steels on this bass, with a EADGC tuning , and it is literally a different instrument. 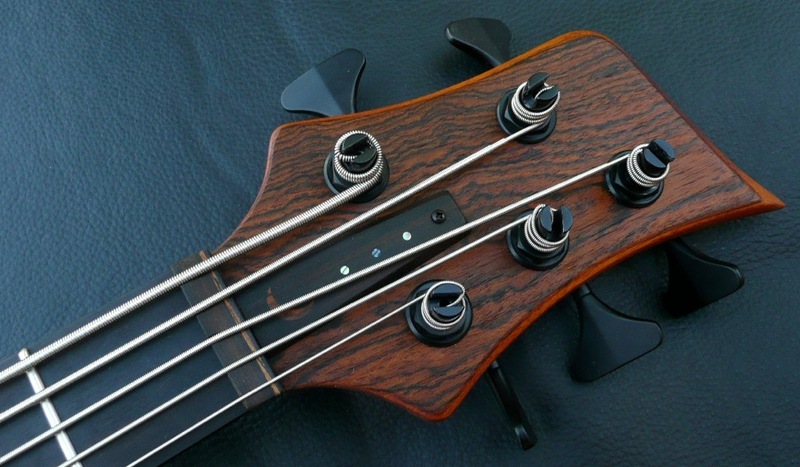 The bass range is robust and the mids and highs sweet – roll off the tone a bit and imagine a jazz box. 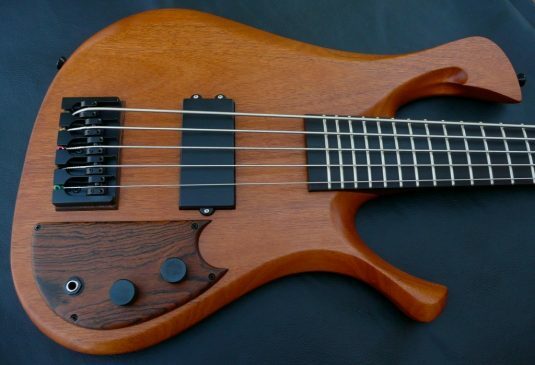 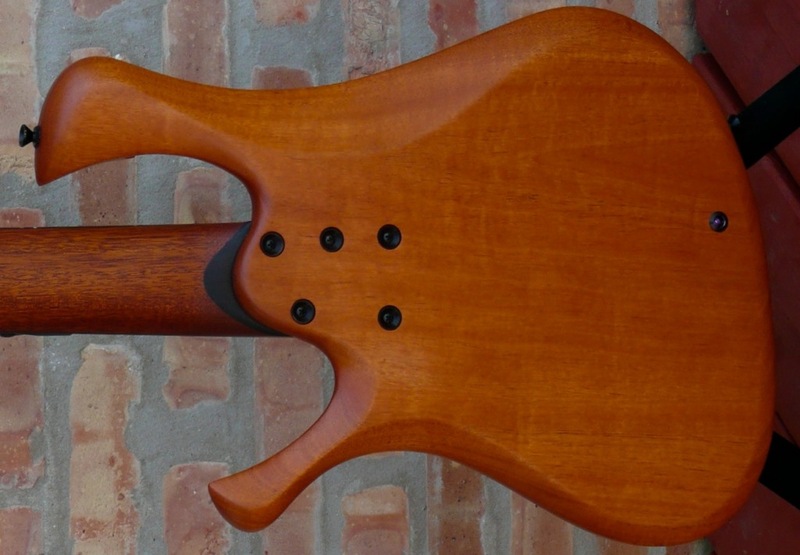 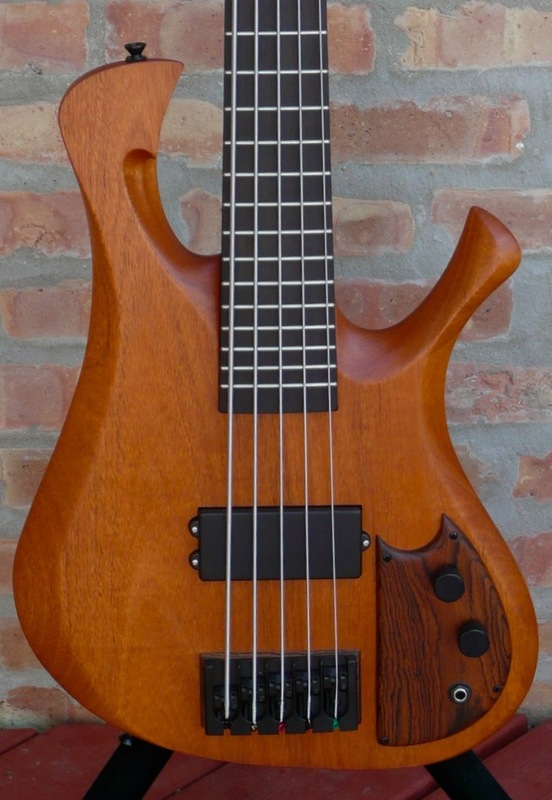 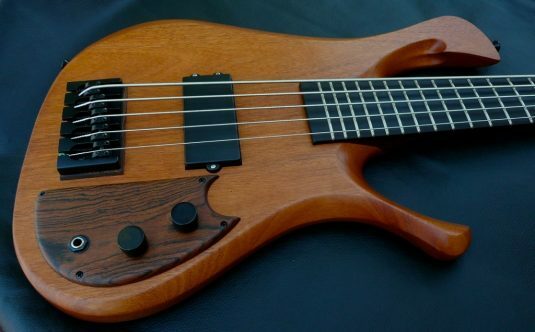 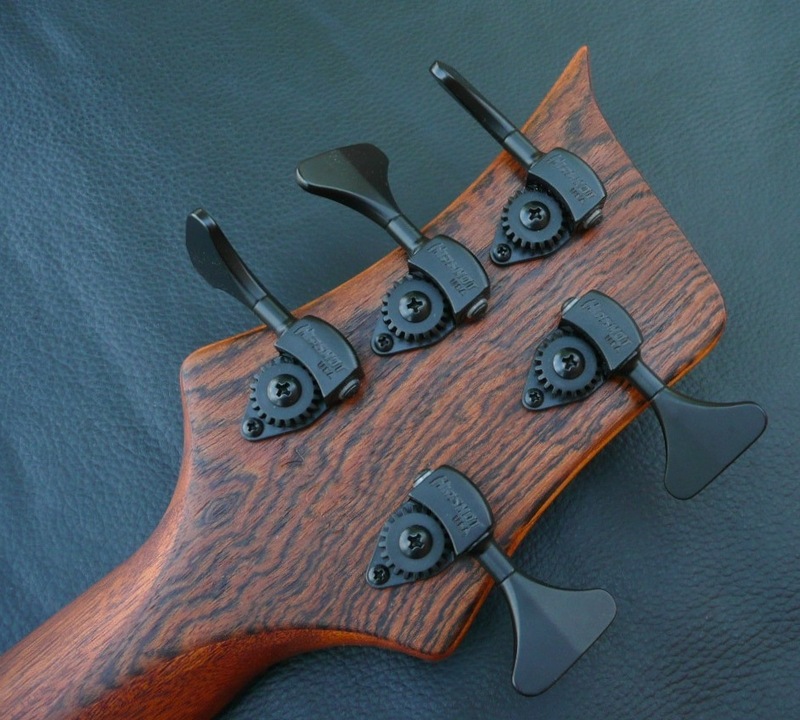 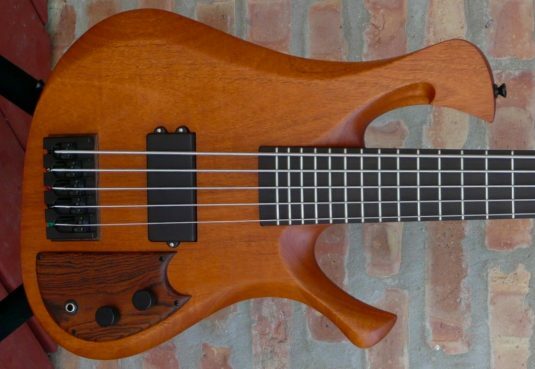 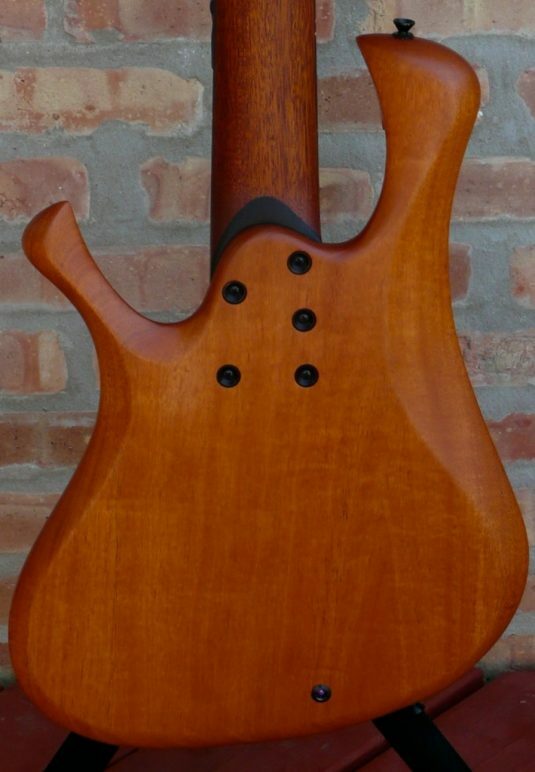 Mahogany body – 7lbs, 2oz ! 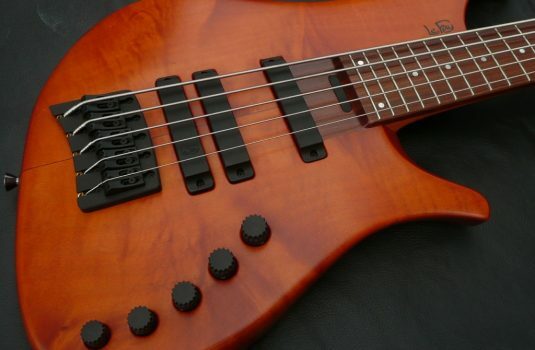 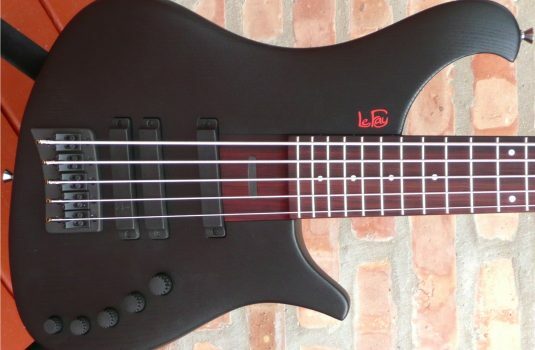 This bass plays great – consistent feel and response across the fretboard. 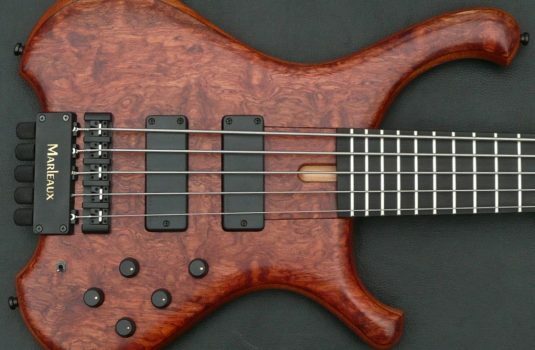 The tone is big and clear. 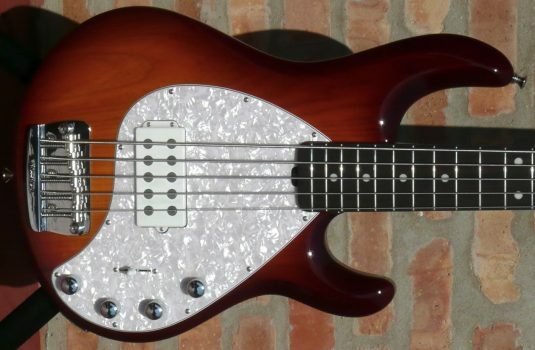 The low B is wonderful , how did he do that ? 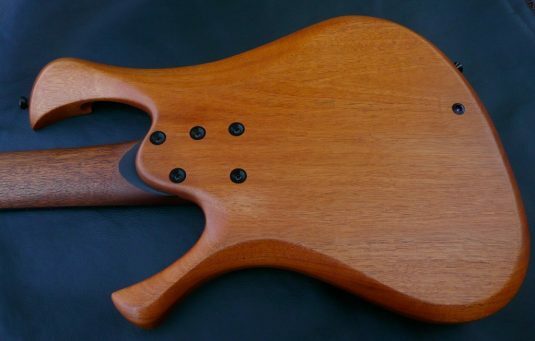 Don’t ask. I’ll be happy to string this with a low B if you prefer , just let me know.